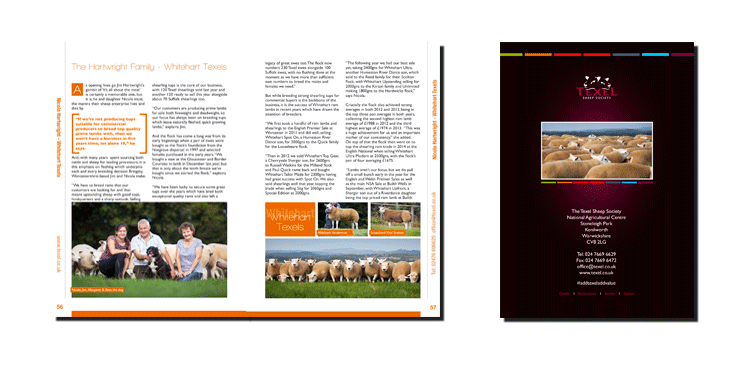 The British Texel Sheep Society released there flagship publication recently the "Journal" with over 220 page it documents the whole years activities in the UKs biggest sheep society. All the shows, sales, facts and figures are there in this A5 spiral bound publication all designed and artworked by ourselves. 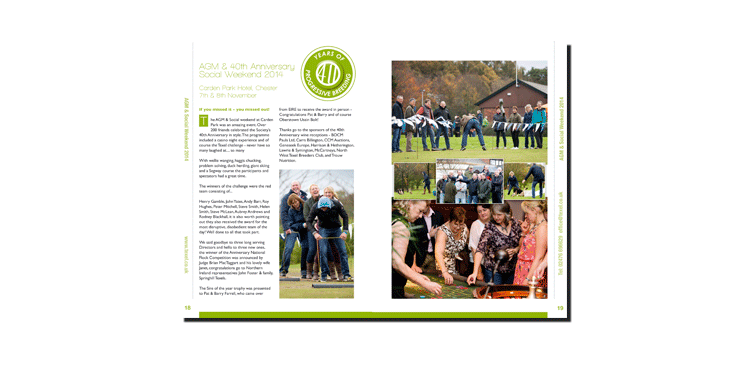 Its a huge annual publication which benefits from loads of full colour images and bespoke graphics.